This is my personal studio and workspace. This is all my own equipment, and I have 24-hour access to work any time. It's a two-room studio, with a soundproofed window. 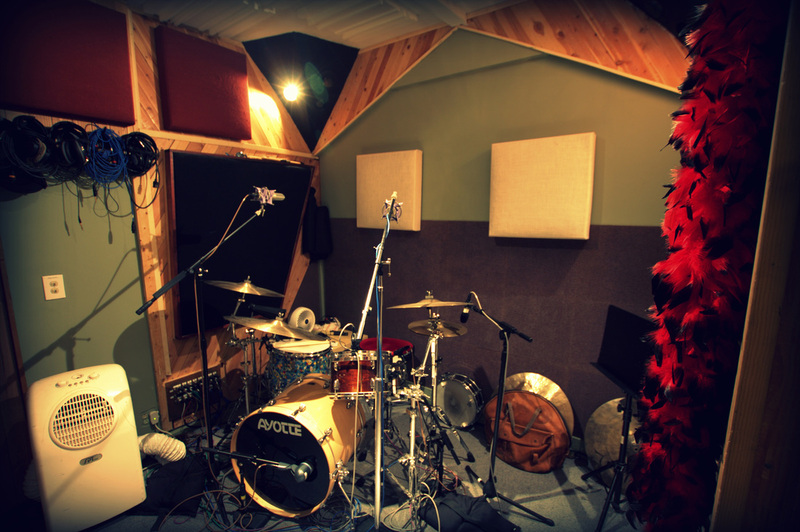 One side is the tracking room, where I keep a drum set mic'd up permanently, along with guitar amps and an iso booth. 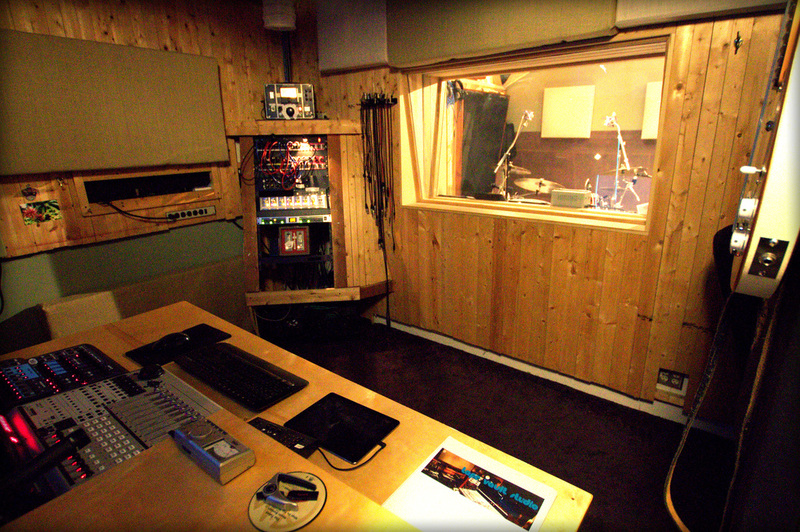 On the other side is the control room with Pro Tools, Cubase and Wavelab DAWs. 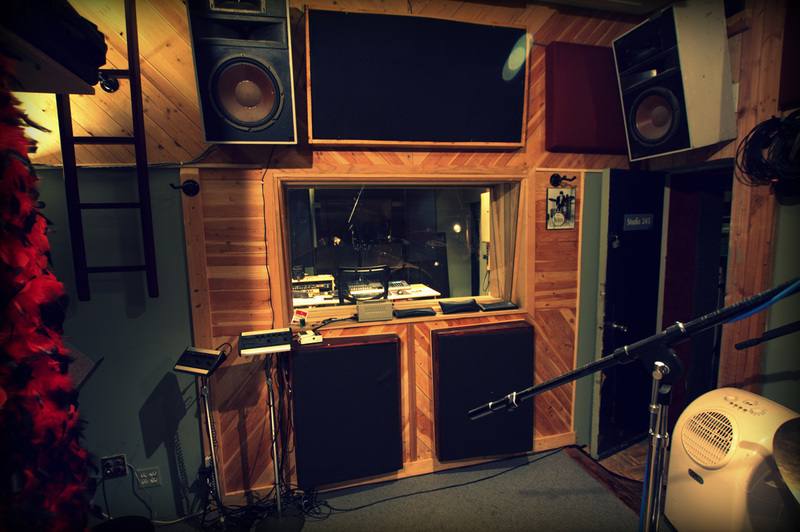 A singer/guitarist can set up in here for further isolation during band tracking. Full production to overdubs, mixes, mastering. I have made entire albums in here with a 5-piece band. If we need more space, I'll schedule time in one of the larger rooms in the building. Plug ins and virtual MIDI instruments, including an ever-growing collection of current legit Waves, Slate, Melda, UAD, etc. Fender and HIWATT amps, bass amp, stomp boxes, other music-making stuff. Tape Vault control room. Analog hardware with a digital session for total recall DAW mixing with moving fader automation control. The 32 analog I/Os can be patched to hardware inserts and the summing mixer. 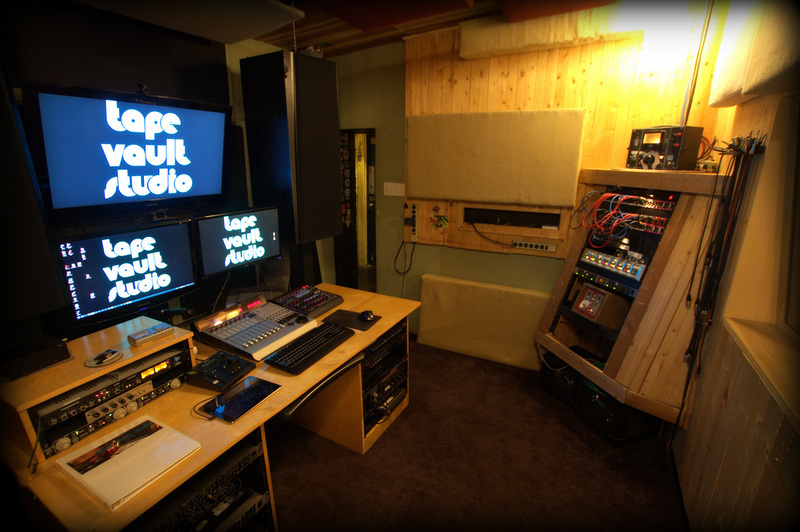 ​Tape Vault tracking room with drums ready to record, amps in iso room, wired and available. 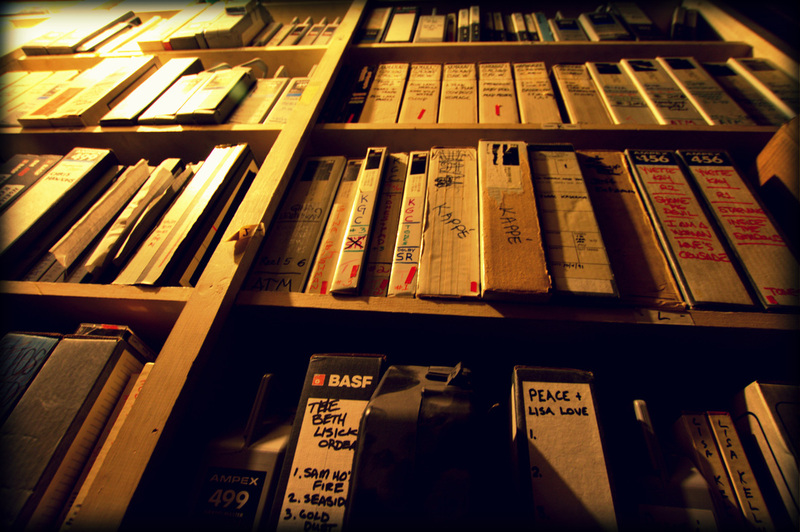 It really is a tape vault, as well. 2" tapes stacked on shelves from floor to ceiling.